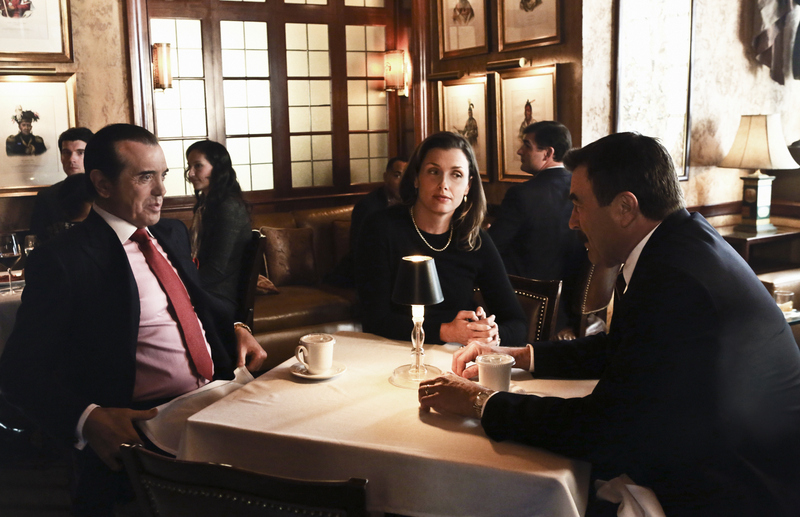 Angelo Gallo (guest star Chazz Palminteri), the city’s top mob lawyer, has a talk with Frank (Tom Selleck) and Erin (Bridget Moynahan). Photo Credit: Giovanni Rufino/CBS © 2012 CBS. All Rights Reserved.